These cute rodents won the hearts of many fans to bring Pets. But we should not forget about the responsibility, because Guinea pigs require a lot of care and attention. 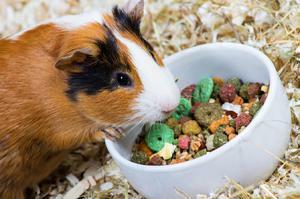 When the content of a Guinea pig at home, it is important to provide it with all necessary nutrients, the same as he would get in natural conditions. Ultimately depends on the health of the pet. Pet daily should consume food that contains vitamin C. Ascorbic acid can be added to drinking animal. 250 ml of 5-25 milligrams of vitamin C. This condition is required because the body of the rodent, this component is not produced. One of the important conditions of nutrition is adherence to the meal. Rodent should be fed 2-3 times a day, in the first half of the day you need to give succulent forage and dry yield in the second. Another important component is the salt. Young individuals of enough 0.5 grams, and the adult is about 1.5 grams. For proper operation of the intestine rodent you need every day there are plants of the grass. They are also a source of vitamins and essential elements. But that power does not bring harm, but only benefit, you need to know, what grass they can eat. Green fodder should give fresh, very well washed. The number of herbs should be moderate. Cereals and solid food must include in the daily menu to be about 30% of the total daily intake. Such food carries an important function of the grinding teeth. Guinea pig they grow constantly and do not allow excessive growth. Otherwise, will have difficulty eating that may even cause death of the rodent. 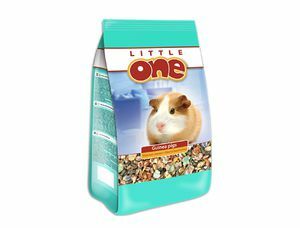 Corn feed for Guinea pigs can be purchased in pet stores or make your own. The composition of these feeds are as follows: barley, millet, oats, peas, corn, sunflower seeds. Favorite ingredient is oats, so it can be put into food a little more. 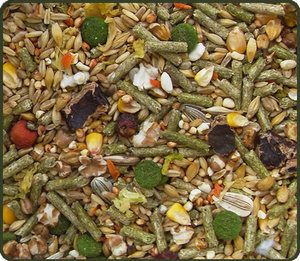 Some feeds are added herbal granules and vitamins. Vegetables and fruits need to be alternated, and during the day to give at least three varieties of such food. This approach will provide the animal a variety of vitamins. Better to give preference to vegetables and fruits to give less. The fact that fruits contain sugar and fruit acids, if excessive use, the pet may develop some diseases. For example, peaches, plums, pears and cherries contain high amounts of sugars, so they need to be consumed very rarely, small portions. But, as a treat, fruit should also give. Food fresh fruits and vegetables should be included in daily diet and approximately 30% of the body weight of the Guinea pig. Food hay also has the function of grinding teeth and normalizes the bowels. 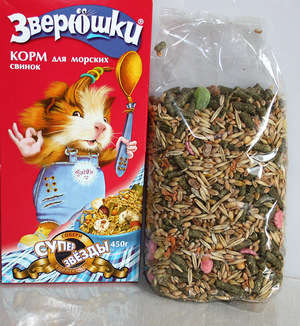 Hay contains the necessary elements for the Guinea pig. 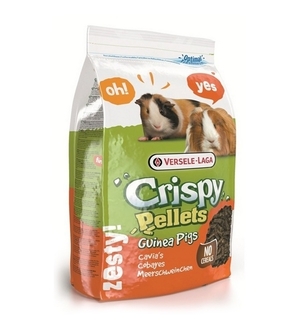 This food for Guinea pigs is a critical component of the daily diet and is at least 20% of the total supply. The hay sold in pet stores. When buying it is important to pay attention to the lack of mold or signs of moisture on the product in damp or rotting the hay would not be useful for pet. To prepare the hay you can own. Importantly, the collection of herbs not to collect poisonous plants and weeds. Guinea pigs are useful to give fresh branches of fruit shrubs and trees, it is a good source of minerals for the body, and it also helps to grind the teeth. Rodents also like to eat wheat bran. Particularly moving and active rodents spend a lot of energy all day. For them can and should Supplement foods with high content of fat: nuts, seeds of sunflower, flax and sesame seeds. But for individuals who are less active, leading a regular life, these products is better to exclude. Fish oil promotes the growth of a young organism, bone strength. Meat and bone meal fills the shortage of animal protein in the body. Ascorbic acid is not produced in the body of a rodent, but is a necessary element. Water is a vital element for all living beings. In winter it is especially important to fill the bowl with water, as during this period, the diet is dominated by dry food and hay. Boiled milk give young individuals. The milk should be fresh and boiled, otherwise it may get infected. Feces. Rodents eat their feces, and this is considered normal. The benefits of this in the normalization of intestinal microflora. Meat, fish, cheese and leftover food from the table. About these products, you need to tell all the family. Cute rodent because someone can easily buy something tasty that will be harmful. The diet of the mother must be full of vitamins and protein. It is useful to give the pet carrots, beets, alfalfa and wheat germ. We recommend that you drink tomato juice, infusion hips, and in a bowl add milk. Newborn pigs the female feeds her milk. If not, then kids will have to feed with an eye dropper or syringe cream 10% fat. Still a newborn, give the drug Linex. You need to collect in a syringe without needle cream and add 1/10 part of the capsule of the drug Linex. The mixture was warmed to room temperature and give the kids every hour on the droplet. Such feeding is beneficial and nutritious for them. After a week the little pigs begin to give the baby milk free porridge. 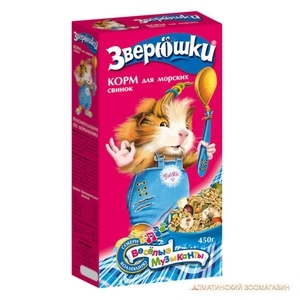 After a while you can translate on a major diet for Guinea pigs. To the issue of food Guinea pigs in the home should be treated seriously. It is important not only to know what to eat Guinea pigs, but also to check the quality of the product. After all, if you get a venomous grassor mold or poorly washed product, you can get a rodent can get sick from poisons or infection. A very small dose can cause irreparable harm and lead to death of the animal. Disease they develop very quickly, in two days the animal can strongly recover and even die. The care and attention to your pet will prolong his life and strengthen health.